How does email sharing work? 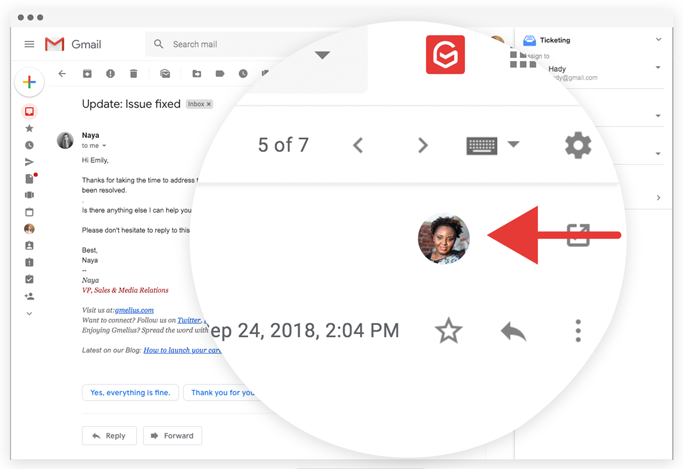 You can share an email with any colleague/teammate who is part of your Gmelius Team or CRM (legacy Business) subscription. To explain how the feature works, will break down the process for both sides. 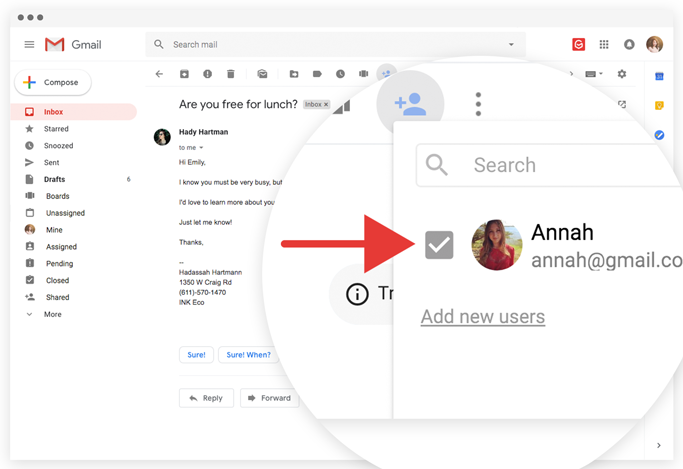 If an email needs to be delegated or shared with a teammate, you just have to select their name on your email sharing drop-down list, and the conversation will automatically sync into the assigned person’s inbox. As simple as that - no bcc, cc or forwards. Once a conversation has been shared by you, your teammate will receive an alert to let them know that you assigned them a conversation. 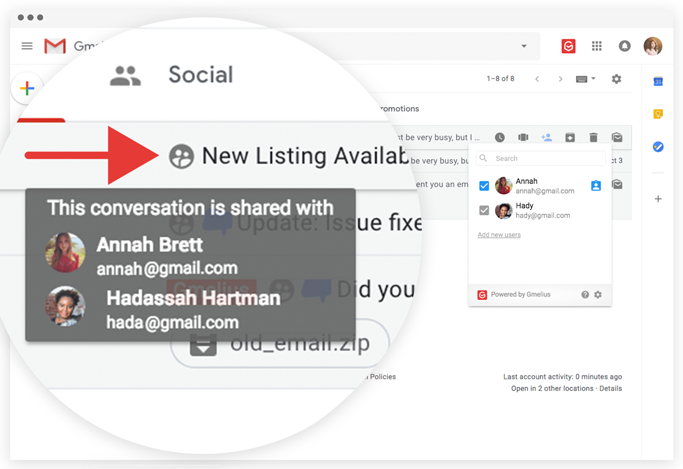 The conversation will appear in their inbox (inbox workflow default configuration) and a grey person icon as seen below. 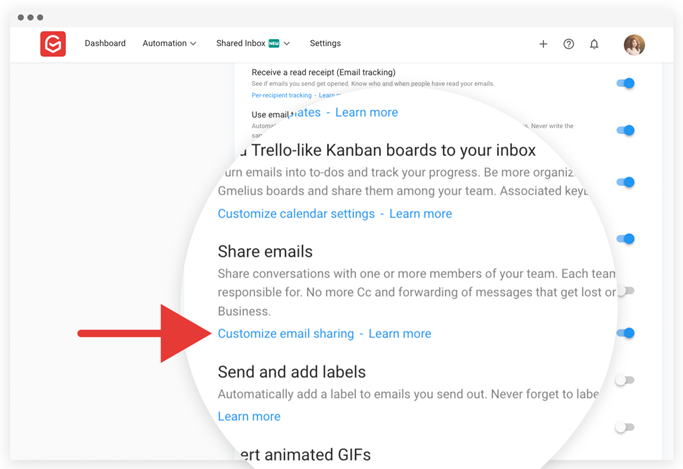 SHARING CONFIGURATION: The default configuration for your shared emails is the Inbox Workflow. Follow this link to learn further more about the different workflows. 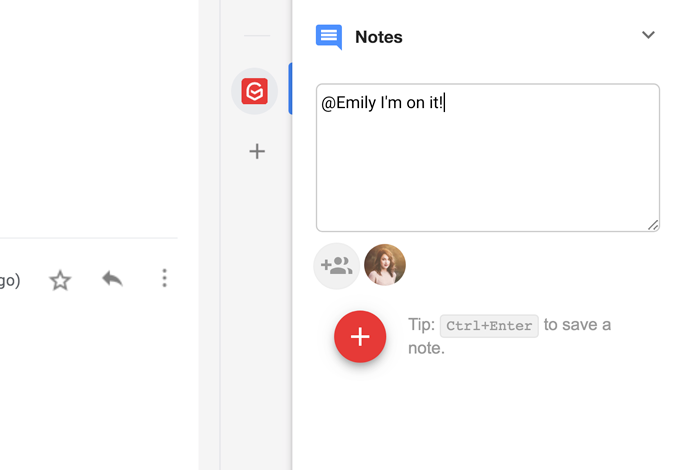 You can ADD A NOTE to a shared conversation to notify your team that you've been apprised of the conversation and/or on how you are going to proceed. Can I further assign (delegate) a conversation to my collaborator for him to answer? 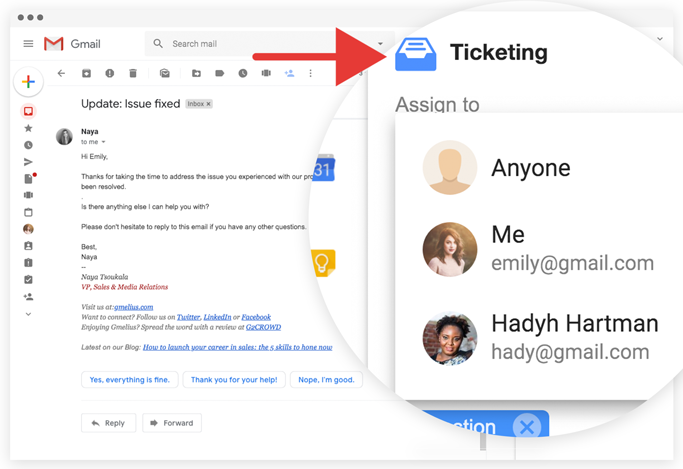 To further assign a conversation to a collaborator, you can use the Ticketing widget offered in your Gmail right pane. Will I be notified of all updates in the conversation even if I delegated it to a teammate? 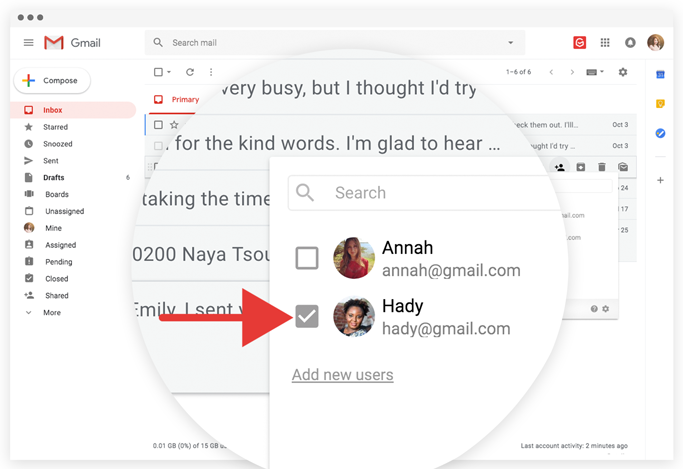 When your teammate responds to the shared email, the response will be automatically synced in your mailbox as well. How can we avoid double replies? 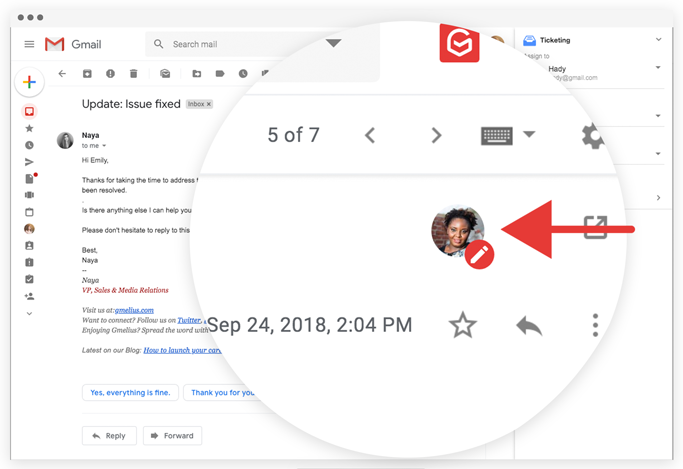 Gmelius offers COLLISION DETECTION This option alerts a user that is going to reply to an email in the Shared Mailbox when someone else from the team is already viewing or replying to the email. This is very useful in customer support, where customer queries reach many users.